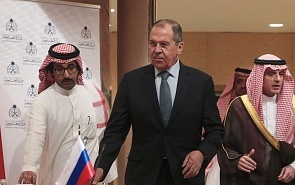 Foreign Minister Sergei Lavrov has just completed a visit in Qatar, Saudi Arabia, Kuwait and the United Arab Emirates, confirming Russian capability to play confidently and on multiple tables in the region. Yemen, Syria, Libya and Israeli-Palestinian conflict have been discussed, as well as the bilateral relations with these four GCC members. The diplomatic tour has shown that, despite the divide created by the different positions held during the Syrian conflict along the last years, Moscow has been able to maintain a useful political dialogue with GCC. For example, the recent acquisition by Qatar Investment Authority of a 19% stake of Rosneft’s shares cannot be dismissed as a simple business investment considering the limited interest of Qatar in the oil market. Furthermore, Russia and Qatar are coordinating their efforts on the global energy market, including through the Gas Exporting Countries Forum (GECF), which is headquartered in Doha. At the same time, Moscow is coordinating steps in the oil market through the OPEC plus format, which is operating successfully and where Russia and Saudi Arabia are among the major driving forces. Improving relations with GCC and avoiding that the regional crisis could affect this bilateral dialogue is Russia’s main priority. However, two clear political messages focused on the Syrian crisis and the Israeli-Palestinian issue have been launched by Lavrov during his visit. On Syria, the Foreign Minister promoted Moscow’s current view on the importance of the further stabilisation of the country and of a political settlement based on the formation of the Constitutional Committee, discussed during the summit of Astana guarantors held in Sochi on February 14th. His warning, loud and clear, was that at the moment this is the only game in town concerning the Syrian future. If the US and its allies wish to keep Syrian reconstruction hostage to their financial leverage, Russia, Iran, Turkey (and China) will find other ways. If GCC members should decide to come on board, they will be more than welcome. On the Israeli-Palestinian problem, Lavrov echoed the widespread concerns related to its current impasse, pointing out the rumours and speculations circulating about the so-called “deal of the century”. This plan, that Trump Administration has been drafting in the last two years, sounds very alarming. There is the suspect that an attempt would be under way to invalidate everything achieved in the past, such as UN Security Council and General Assembly resolutions, the agreements reached in Madrid and Oslo, and, last but not the least, the Arab Peace Initiative. The perception is that the American deal could erase everything that was done to build the foundations of Palestinian-Israeli settlement and for the formation of the state of Palestine that would have territorial integrity and sovereignty. Another source of concern raised by the Russian Foreign Minister is the attacks on the Arab Peace Initiative that envisaged the normalisation of relations between the Arab world and Israel after a two-state approach to the Palestinian issue is accomplished. On the current GCC divide between Qatar on one side and Saudi Arabia and UAE on the other, Russia has so far smartly kept a low profile. This confrontation is primarily a Washington’s problem and, therefore, there is no need to ease the current American embarrassment. In conclusion, Russia aims to show itself to the Arab rulers as a pragmatic and reliable partner, as its unrelenting and decisive support to Bashar Al Assad has already displayed, and that its capability to influence Iran’s behaviour is probably higher than the American sanctions one’s.